The Constitutional Court in the Democratic Republic of Congo (DRC) “is independent” and, de facto, the Congolese government, let alone the African Union, cannot dictate to it “what it should do,” the government spokesman, Lambert Mendé, said Friday in Kinshasa. “I do not think it is up to the government or even the African Union to tell the Court what to do,” Mendé said, reacting to the African Union’s request to suspend announcement of the final results of the presidential, legislative and provincial elections in the DRC. AU leaders meeting in a mini-summit on Thursday in Addis Ababa, Ethiopia, in a statement said they had based their request on “serious doubts” about the provisional results proclaimed on January 10 by the National Independent Electoral Commission, CENI. According to the CENI, the presidential election interim results showed the opposition leader Felix Tshisekedi won with 38.5 percent of the votes and the legislative elections were largely won by the presidential majority candidates, the ruling Congolese Common Front (FCC). In calling for suspension of the final results, the AU leaders also agreed to send “urgently,” on Monday to Kinshasa, a delegation led by the Rwandan President Paul Kagame, who is current Chairman of the African Union. The purpose of the mission is to find a consensus on an outcome to the post-electoral crisis in the country, an AU statement declared. 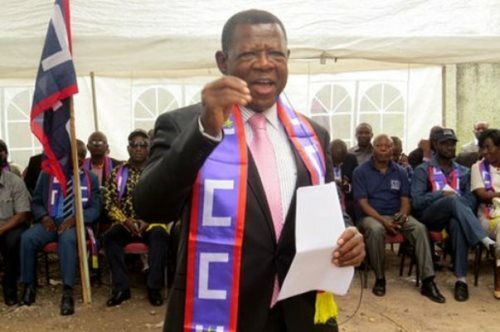 Mendé in his intervention said the Constitutional Court of the DRC was “independent” in its functioning, and could not comply with the injunctions of the Congolese government nor the African Union.